« Veropedia = Wikipedia 2.0? Posted under Books on Thursday, November 1st, 2007 at 10:40 am, by Brian Herzog. Post and comments available via the RSS 2.0 feed. Both comments and pings are currently closed. 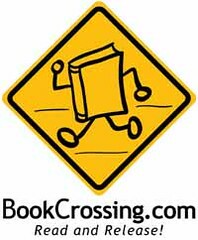 I found this post by searching for ‘bookcrossing’ on Multiply’s search. I love BookCrossing. I print out my own labels, too, though I mostly use those designed by myself and other Bookcrossers, rather than the generic ones on the site. Your name sounds familiar. It’s possible I’ve seen you on BookCrossing or LibraryThing? Anyhow, how did your books go? Have they been caught? So far, only one of my books have been “captured,” but it’s still worth it. I enjoy releasing the books, and I’ll just keep telling myself that they’re being enjoyed by someone somewhere. And yes, I do get around the internet, and usually use the same username: herzogbr – if you see my profile somewhere, please leave a comment to say hi.